Born in Rwanda’s Eastern Province, Joy Ndungutse spent her childhood and early adult years in exile due to political instability in her country. She grew up in a refugee camp in Uganda, continuously exposed to the tremendous hardships that women endured with a lot of patience and empathy. Dreaming that one day she would be able to give back to these strong and compassionate women teaching her how to live a humble life, Ndungutse saw an immense opportunity in the art of basket weaving. As both her mother and oldest sister were weavers, her parents were able to cover the costs of school fees with the income generated by the sales of baskets combined with her father’s salary. 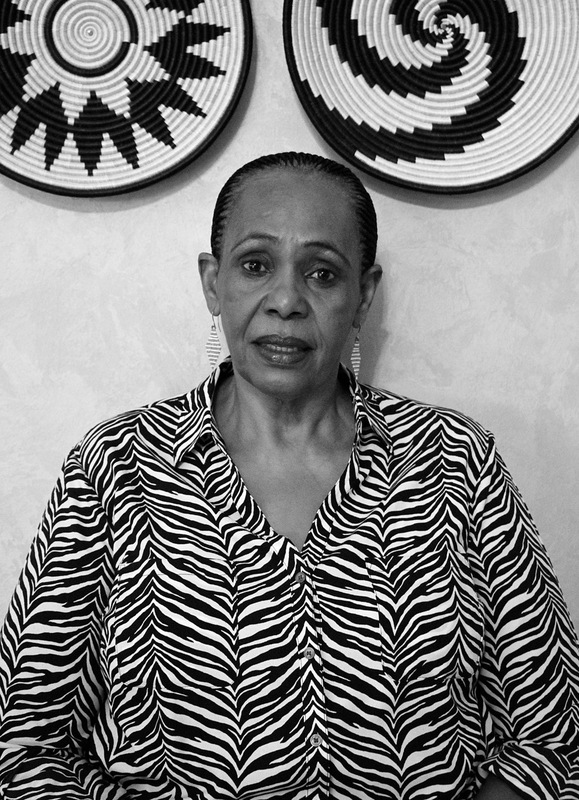 After graduating from high school, Ndungutse moved to Arusha where she was trained as a secretary. She then worked in a couple of countries, including the USA, for 15 years, where she took her designing classes in the evenings and getting involved in humanitarian projects. Driven by ambition, Ndungutse’s strong desire to work towards women empowerment translated into a weaving initiative when she moved back to Rwanda after the genocide. While running a hotel and the country’s first furniture store, she trained local women in rural areas and designed baskets, modern in style and shape, that these women could make using traditional weaving skills and techniques. Before she knew it, Ndungutse was embarking on a long journey that would give birth to Gahaya Links. Today, Ndungutse is a single mother of three, living in Kigali. She is Vice-chair/Country Director New Faces New Voice Rwanda Chapter, Founding Member of Alliance for Artisan Enterprise and Advisor to Girl Hub Rwanda. She is delighted to see that the number of women achieving financial independence in Rwanda is increasing over the years and that the local culture is alive and vibrant. Memories from a humble beginnings, Janet could not imagine life beyond the refugee camp in Uganda. She beat the odds by securing a church scholarship, which assured her good education and a ticket out of the camp. Hermotivation to change lives of underprivileged women of Rwanda affected by the 1994 Genocide against Tutsis was inspired by the hardships her late mother and other Rwandan women endured while in refugee camps. As well-known grass-root mobilizer with the heart and determination to empower the underprivileged women of Rwanda, Janet is a board member of the World Craft Council, and an active member of Chamber of Women Entrepreneurs in Private Sector federation in Rwanda. Janet is a proud mother of five and she believes that women’s economic empowerment provides the foundation for achieving sustainable dignity, peace and development. 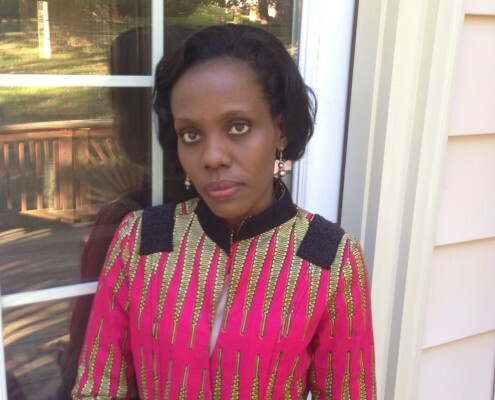 She dedicates her free time to her family and Humanitarian Church Ministry giving back to the communities of elderly women, orphans and special needs children in Rwanda. Sarah Mutesi Ban has studied business marketing at Louisiana’s Grambling State University and worked in Corporate America for seven years before joining Gahaya Links on a full-time basis. During that time, she developed a passion for women by seeing her hardworking aunties, Joy Ndungutse and Janet Nkubana, start Gahaya Links to promote women’s empowerment. She would first help by being the eyes on the ground, analyzing what American customers like, and what the current trends are. 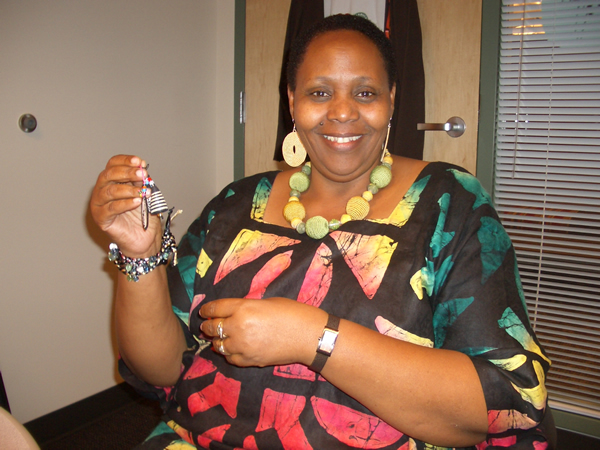 Following her regular visits to Rwanda where she would see first-hand how handicrafts was helping the most disadvantaged women lift themselves out of poverty, she decided to dedicate herself fully to the cause by representing the family collective in the USA, focusing on marketing and sales. Sarah now lives with her husband and two daughters in Maryland. In her free time, Sarah likes to cook, read and spend time with her family and friends. Gahaya Links Limited: a for-profit Rwandan handicraft company based on the simple principle of women economic empowerment through fair trade.